Call Our Experts For All Your Garage Door Needs! Garage door springs consist of coils, are of different sizes and are distinguished in two main types: the torsion and extension springs. They are chosen in relation to the weight of the door and must be measured in terms of their length, wire diameter and inside diameter. Their end parts are important, too. Extension garage door springs usually have loops or clips while torsion springs have one stationary cone at one end and one winding cone at the other end. This characteristic of torsion springs make them very strong for the lifting of heavy doors. Since they remain stationary at one end, their other end winds and unwinds with speed to create torque and move the door. The coils of extension springs stretch out and contract and always come in pairs of two. The excellence of Garage Door Repair Hopkins is reflected on spring services as well. Garage door springs have special needs but our services are equally special as well. We actually pay great attention to details since torsion and extension springs repair services are extremely important. Due to their significance we try to be as fast as possible especially if your spring problems are urgent. 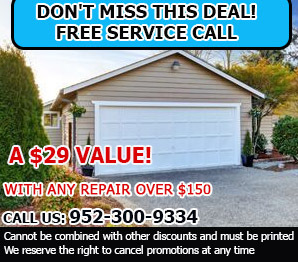 In this case, we offer emergency garage door repair and send one of our repairmen the same day you call. We offer garage door torsion spring replacement with amazing attention out of respect to your property. Our experience is guaranteed and the proficiency of our technicians is ensured. We replace extension springs as well and make sure both of them are changed so that the door will be well balanced and you won't have other problems tomorrow. 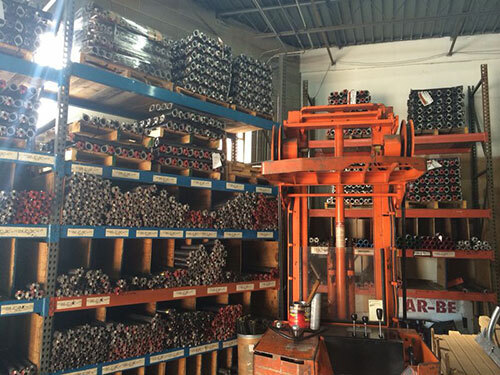 Due to our professionalism, we advise our customers to let us replace their springs before they break but rest assured that our team is available for broken spring replacement as well. The experience of Garage Door Repair Hopkins in all matters concerning springs is huge and this is of the essence due to the amazing importance of these parts. We guarantee proficiency and speed when there is need for spring adjustment. Springs need good adjustment due to the fact that they lose tension every time a cycle is completed and our experience is vital for the times you need the best team for broken spring repair. Do send us a message every time you need assistance.